Better Selling in Under 5 Minutes: "How to Handle the 'I need to speak to someone' stall." 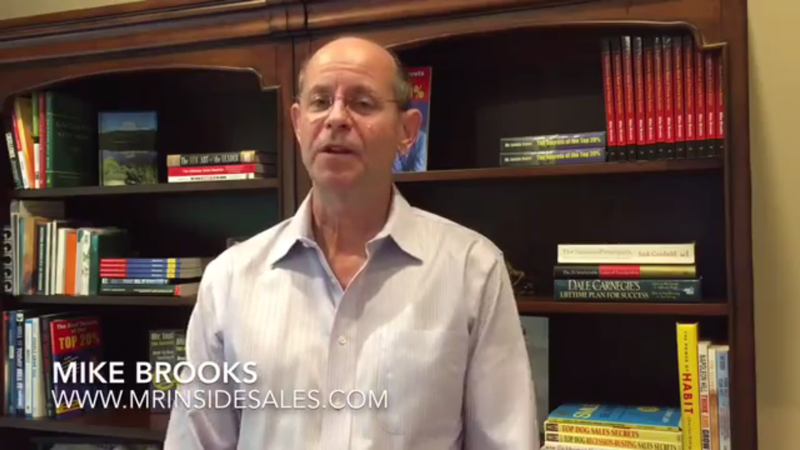 Welcome to our new video series: “Better Selling in Under 5 Minutes.” We’re launching this series today to help inside sales reps and teams handle selling situations more effectively. Today’s topic is, “How to Handle the ‘I need to speak to someone’ stall.” If you like the video, please pass it on to other sales reps who can benefit from it. Please click on the YouTube link to watch. All the best and happy selling!